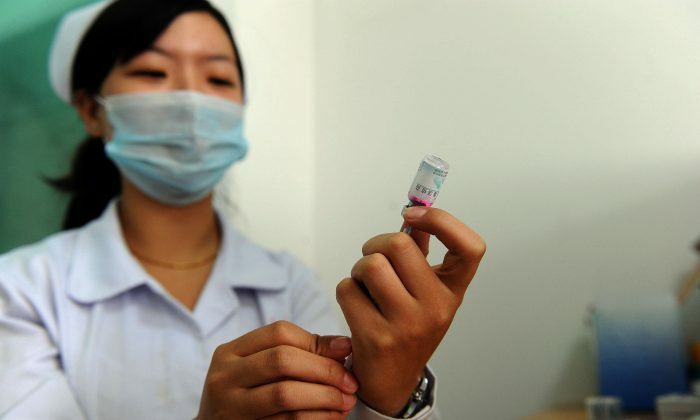 China was recently roiled by another scandal involved adulterated and toxic vaccinations, an issue that has been allowed to drag on for over a decade because of inaction (or, rather, the sort of action—attacking those who sought to gain compensation for harm) by the authorities. This gave Internet users more cause than usual to vent about the political system of their homeland. The rest of the week saw the usual preoccupations: a bloated real estate market, bizarre fines levied against the small guy for no good reason, and Party officials whose sanctimoniousness sometimes takes the breath away. Background: The government of Shenyang, a northeastern city of China, recently announced a policy to destock real estate inventory, granting university students or recent graduates the ability to take out home mortgages with zero down. The policy was heavily criticized and soon retracted—but not before jokes were made. Question: If North Korea and China attack each other with nuclear weapons, who will benefit most? Answer: Facebook, because those are the only two countries where Facebook is blocked. On March 22, a snack bar in Hangzhou was reportedly fined 200,000 yuan ($30,900) for saying “The Best of Hangzhou,” and “The Best of China,” on its in-shop signboards. The city’s Market Supervision Administration said using the term “most” is a violation of Advertisement Law. The owner complained that the fine was too heavy for him: “200,000 yuan is what the bar earns in a whole year. I have taken away the terms as required. It is not right to kill my business over just this.” The authorities denied the complaint, claiming that the regulation was issued last September and the owner was responsible for learning about new laws. The Chinese character for “most” is replaced with the character for “truly” on the signboard. The People’s Daily recently published an article titled “We Are All Part of the Social ‘Atmosphere. '” The article was authored by Xi Hua, a high-ranking official in the Central Commission for Discipline Inspection, the Party’s anti-graft agency. The word “atmosphere” in the title refers to bad social customs, particularly “bribing and receiving bribes,” which has become ubiquitous in China. The article asks readers to examine themselves for the cause of corruption in China, and goes on to suggest that corruption is a shared responsibility.